From our experience as programmers and keyboard players, we know one thing for sure....Keyboard Players always want more Keyboard sounds! The first thing we check out when we buy a new synth are the Keyboard sounds. We are always searching for more Rhodes, Wurli, Acoustic Piano patches and that Killer B3 organ. We get calls and e-mail from keyboard players all over the world who feel the same. So a few years ago Kid Nepro started producing complete soundbanks based on keyboard sounds. We call them "Killer Keyboards". 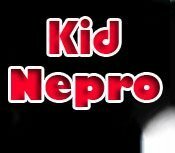 Kid Nepro has produced several other Keyboard soundbanks with great success for instruments like the Korg Triton, Roland JV80 & JV1000, Korg 01W, X3 and Trinity Series. Killer Keys can be used at live gigs or studio sessions and is perfect for the Keyboard Player or Organist doing Church Services. We give you a wider variety of new Electric & Acoustic Pianos, Jazz, Rock & Pipe Organs, Funky Clavinets, Harpsichords and Layered Keyboard Sounds mixed with Strings, Pads &Choirs and Brass.